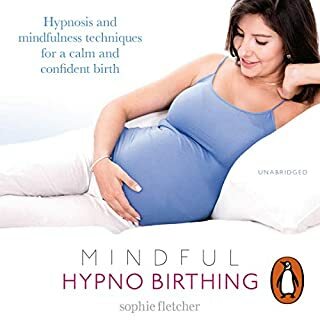 Hypnotherapists, mothers and experienced meditation teachers Sam and Nicola guide you through a positive and reassuring journey to motherhood through visualisation, affirmation, breathing techniques and mindfulness, and the audiobook even includes how to combat morning sickness and difficulty sleeping. Pregnancy and childbirth are often depicted as a time of sickness and mood swings for women followed by 12 to 20 hours of pain and hard labor. Many women have been told they can never conceive. Others have suffered the pain of conceiving and miscarrying. Have you had enough of this picture? Supernatural Childbirth is a practical and realistic look at God's promises for conception, pregnancy and delivery. What a new way to look at birth!! This course reveals the tools and knowledge you need to have a fulfilling birth, with little to no pain. All of this you can do in the comfort of your own home and at your own pace. The Hypnobirthing Home Study Course is a complete birth education course. You can be fully prepared for your best possible birth experience. There is no need to attend any other hypnobirthing or birth preparation class, as this is a course that covers natural birthing, alternative options, and the best interventions. So no matter what path your birth ends up taking, you will be fully prepared, confident, calm, and in control. Over a period of six years, we have collected statistics on birthing outcomes. Over 85 percent of Hypnobirthing Home Study Course mothers birthed naturally and easily, with most saying they were entirely comfortable throughout the birth and didn't even think of asking for pain medication. This hypnobirthing course will help you prepare positively for your amazing birth. It will help you embrace and understand the impact that your thoughts and fears can have on your experiences, specifically with your birth experience. This course will help you learn how to clear the path of obstacles and hurdles, and you will free yourself (predominantly your thoughts). Yes, you will achieve such freedom that when the time comes, your mind will no longer interfere with the already setup bodily functions of giving birth. What did you like best about Hypnobirthing Home Study Course Manual? What did you like least? I have enjoyed listening to the information in this audio book. However, due to the fact that it is a learning course Audible is a terrible platform to get this information. If you are interested in this book and technique of birthing - go to the website hypnobirthinghub.com and buy the program there. You will get the correct information laid out the way it needs to be, the audio meditations and a manual to clarify. If you download this on Audible, the chapters are not clearly stated making it very hard to navigate and find information. Also, the corresponding website makes it very difficult to compare the information back and forth - I literally had to make a list of chapters and compare to the website's CD format. Do yourself a favor and buy the book the way it should be - NOT THROUGH AUDIBLE. What does Kathryn Clark bring to the story that you wouldn’t experience if you just read the book? Kathryn has a soothing voice with an Australian accent. It sometimes would make me go to sleep and I would have to re-listen to parts of the book. I liked all the provided information but sometimes wanted the theory to quit and just tell me what to do step by step. There was some repetitive information. Was Hypnobirthing Home Study Course Manual worth the listening time? Yes, I learned a lot about this birth method and hope to use it. 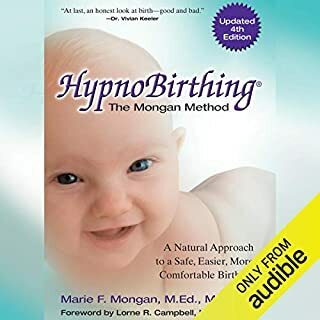 DON'T BUY FROM AUDIBLE - BUY FROM HYPNOBIRTHINGHUB.COM - Don't do what I have done and get frustrated and confused by the layout provided by audible! I have been back and forth emailing the company, trying to reference the website and eventually spending more money to download the manual and audio guides there - waste of money here! I feel more positive, empowered, and capable of having the natural birth i deserve after finishing this book! 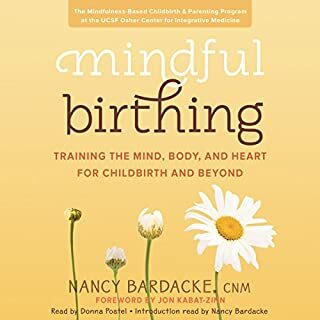 We listened to the book together with my husband and both think it made a big difference in building our understanding and confidence in natural birthing. We are planning on re-listening a few chapters again before the birth and practicing the recommended exercises and relaxation techniques. The book is organized very effectively with the author presenting a thorough research context for a variety decisions leading to the birth as well as action plans for the expectant mother and her birthing partner. The language balance is great - it is neither overly scientific nor it is trivialized. The book includes several relaxation tracks and references additional materials on the author's website that extend the usability of the book. The narration is excellent. I have not heard a lot of professionally narrated books that are as good as this one. Bottom line, this book is certainly a "keeper" in our audible library and worth paying for it. I got this audiobook because the Mongan Method wasn't available on Audible, but I also read the Mongan Method and a lot of it is plagiarized and used in this book, even the anecdotes are stolen with details changed. But if you can get past that and accept this book, it has a lot of good information and the latter 70% or so is original material. Better than not having a hypnobirthing book in audio form. Also, the reading is a little obnoxious in the way she puts emphasis on the wrong words and her sentences don't flow cause she's trying to sound relaxing. If you always. notice that kind of thing, it may keep her reading from helping you relax fully. You get used to it though. I'm sorry this book is well written, has great information and im.all for hypnobirthing, but I CANNOT STAND this narrator's voice and cadence. It's just awful, she is far too cherry, and way too excited about every sentence. To be honest I didnt even finish this book and just downloaded another hypnobirthing book because I couldn't take it anymore. There is nothing calming or soothing about her at all. It's really too bad because it's a great book she just should have had someone else narrate it for her. 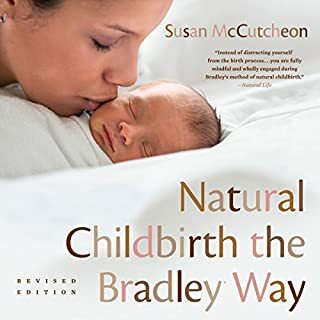 Author approaches birth from the historical, emotional and practical prospective, making this book as great opportunity for people of all backgrounds to better understand and be empowered by their birth choices. This book has made me feel so much better prepared for birth. The strategies and tools for releasing fear and creating relaxation have been valuable in my everyday life and I am excited to use them in birthing my baby! Gave me the confidence I needed during birthing. I bought this book because no one around me, to include doctors, could answer any of my birthing questions. I felt lost and scared. I was dead set on a natural birth. I randomly found this book and it was a miracle worker. Clark prepared me for the best and the worst. I walked into the hospital in full control of my birth with no fear. Even after 55 hours of labor with no medication and identifying that I had to have an emergency Csection I still kept control. I was able to make the best choices for me and my baby and it was an amazing experience. This book had a lot of useful information. I like that it included the actual hypno tracks. Her voice is very soothing. I have listened to several books on this topic and would include this as a must listen. I enjoyed it all, and the voice and accent of the reader was soothing to me. The information was very valuable, and I will definitely be using the techniques and hypnobirthing tracks at the end in my upcoming birth!! I already feel calmer and more prepared from listening to this book. Read it with your own internal voice, don't bother trying to listen to the narration. Her voice is comparable only to what i'd imagine an Australian person would sound like pinching their nose, whilst talking between bouts of chewing on a cactus. The actual content was thought-provoking. Did Kathryn Clark do a good job differentiating each of the characters? How? Could you see Hypnobirthing Home Study Course Manual being made into a movie or a TV series? Who would the stars be? It would be pretty unique if it was. very useful but annoying narration! in depth hypnobirthing course but the narrator's voice is so annoying, really nasal and an annoying accent, would've been so much better if they'd hired a proper voice artist to narrate! Also it would be useful if the chapters were titled. We did a hypnobirthing course with our local midwives which was great, but only 5 sessions long. I used this book alongside the classes because it was more thorough and in depth. Kathryn has a lovely way about her and she helped me relax so much, to the point where I completely changed my mind about where to give birth and we are now planning a home birth for our baby due any day now! I will certainly review again after having the baby but regardless, this book has been so informative for me and my partner and has helped prepare us for whatever comes along. I feel confident and happy and relaxed to face whatever birth I have but with the help of this book we are visualising a calm and peaceful time. This book really helped me face my fears and look deeply into what was holding me back from having the birth I really wanted. It's empowering and every woman should have access to this incredible, natural and healthy approach to childbirth. I couldn't recommend it enough. Amazing content. sorry, but v nasal strong accent. HypnoBirthing part should DEF be done by another voice. V good advice tho and empowering. Helped me stop fearing labour! I'm still waiting for the birth but feel so much more prepared. I was really anxious about labour and the birth but since listening to this book I feel a lot more confident that I will cope and I just generally feel a lot more calm about the whole process. 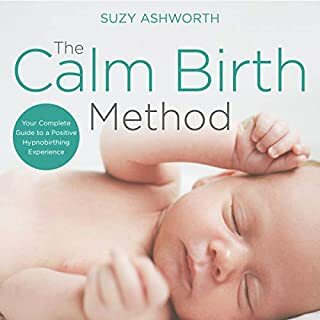 The author makes a LOT of sense and there's some excellent strategies for calling yourself down and even if I don't have the perfect birth described in the book, I know I will be a lot more relaxed and that this will make it so much easier and probably quicker too! This was an excellent book. This technique enabled us to take some control at a stressful and challenging time. It brought my husband and I closer and helped me through a very long labour. Was it pain free... No... But it was manageable and the choice of adrenaline or endorphins as the natural drug of choice its endorphins every time. The narrator and author has such a calming and assured voice. The information in this hone study is all you need to achieve the best possible birthing outcome you could wish for. This book has is not just a tool to help you relax in your birth (thus eliminating pain) but also a mine of information on medical aspects of birth, thus helping you be prepared for many possible hospital situations, allowing you to make the best choices at the time. It gives a balanced account of many medical interventions - benefits and risks (whereas hospital may omit mentioning the risks) and thus helps you understand why natural birth is best. Knowing what effect interventions have on the baby is a great motivation for me to focus on relaxing and thus give my baby a calm start in life. Boring and needs to get straight to the point. There is too much historical context which is not necessary. Even if you find it interesting she seems to go over the same historical information a number of times. I've really benefited so far from all the content - information and skills - included in this home study manual. listening instead of reading means I can make the most of my commute. the course is broken into sensible and effective sections to gradually build your confidence. I'm very excited about my upcoming birth experience, now, regardless of exactly how it plays out - ie I have developed a much greater sense of being able to accept and roll with something that may not be my ideal scenario, and previously it was those thoughts that generated the most fear for me. the audio book includes one of the hypnosis CDs abs the rest can be purchased at reasonable prices on their website. Unfortunately the reader has quite a nasal voice and consistently mispronounces words, for example every time she says "ekspecially". There is also quite a long section which just assumes that the reader will be religious. This book can be useful to non-religious people as well. It's a shame because a lot of the information is good.